A few weeks ago, Londonist required a pre-Prom dinner and headed to Racine on Brompton Road, only a 10 minute walk from the Royal Albert Hall. 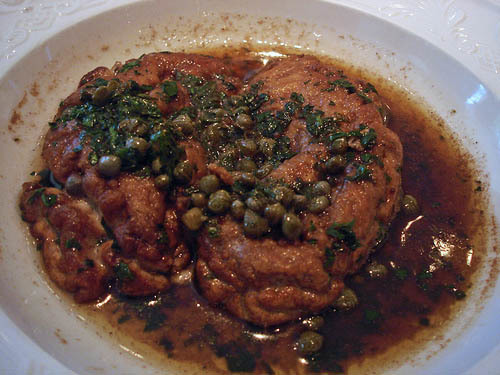 Excellent bistro style food awaits you at this most French of restaurants in South Kensington - Londonist opted to start with the calf brains (pictured above) in a brown butter and caper sauce. 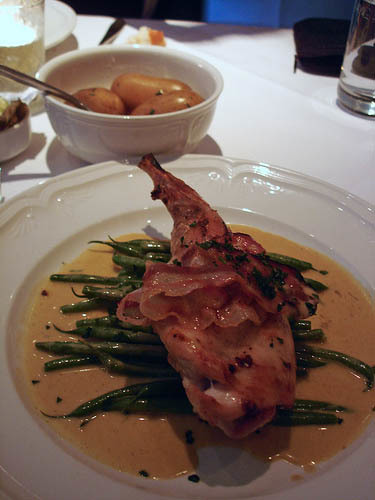 To follow, we had another particularly Gallic meat - a beautifully tender rabbit leg, grilled with bacon and served with a mustard sauce. 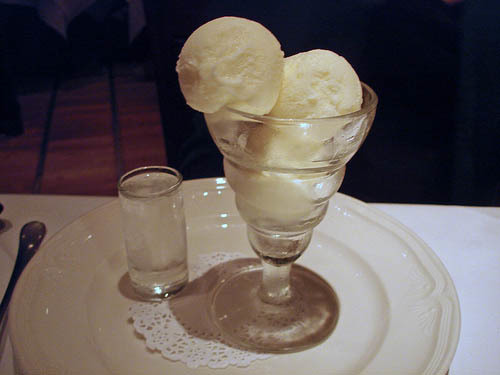 Save space for dessert too - their classic desserts are generous in size and gorgeous but if you'd like something lighter, prehaps lemon sorbet with a shot of Stolichnaya vodka would be more to your taste? We helped our friend finish hers! If you're also hoping to pair a visit here with a concert, do hurry; there are only so many Proms concerts left in the current season.